I gave a talk earlier this February at the Berlin Machine Learning Group on the role of deep learning in mammography, and how we approach the problem at Merantix specifically. Unfortunately, the talk was only live streamed and not recorded. However, the slides are available. Our Picasso project was featured in the August issue of KDNuggets, a machine learning newsletter. Just released my first project from Merantix. Picasso is tool for rendering standard visualizations that help debug the deep neural net learning process. See the Medium post for more details! Another image-match post! 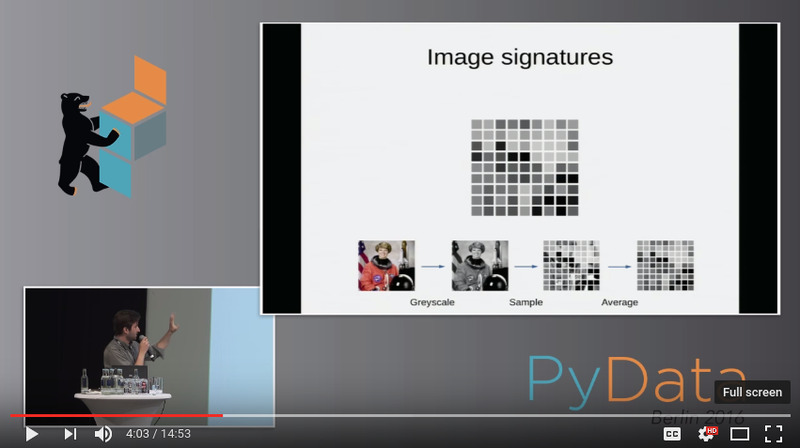 You can see my talk at the PyData Berlin 2015 conference on YouTube. I did a little work on the HAMS recruitment challenge. You can see my results here. Spectrm posted a fun hiring challenge involving text classification. I gave it a shot and managed an 8% recall rate: not so bad considering there are as many classes as there are examples. Apparently what I came up with is a crude implementation of an inverse document frequency model. Predictions over the first 200 samples. Note the encouraging band along the diagonal! You can see my solution on Github and run it yourself if you like. I also included a Jupyter notebook which explains how it all works. We’ve ported image-match to Python3 and bumped the version to 1.0. The storage engine now also supports adding metadata separate from the reverse image search logic. Alex Kern and the Pavlov team have built a containerized, scalable reverse image search based on my image-match library. They also added a nice REST API, which makes it much more useful for the typical user. They even have a logo! So jealous! So thanks, and congrats on the release. PS image-match has over 800 stars on github as of this writing! 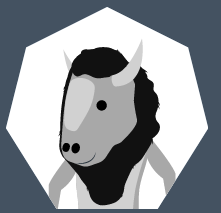 We’ve just open-sourced one of my main projects at ascribe! You can check it out here. image-match is a simple package for finding approximate image matches from a corpus. It is similar, for instance, to pHash, but includes a database backend that easily scales to billions of images and supports sustained high rates of image insertion: up to 10,000 images/s on our cluster! Based on the paper An image signature for any kind of image, Goldberg et al. There is an existing reference implementation which may be more suited to your needs. BigchainDB allows developers and enterprise to deploy blockchain proof-of-concepts, platforms and applications with a scalable blockchain database. BigchainDB fills a gap in the decentralization ecosystem: a decentralized database, at scale. It is complementary to decentralized processing platforms like Ethereum, and decentralized file systems like InterPlanetary File System (IPFS). I’ve contributed to our public repository and am a co-author on our whitepaper. 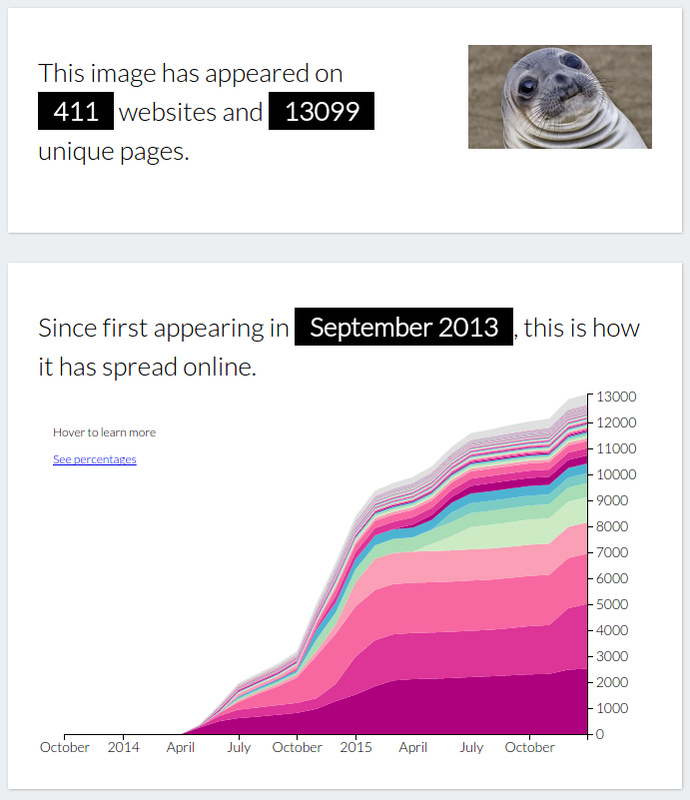 WhereOnTheNet is a little web app for tracking images online. In particular, it gives you a couple handy charts to elucidate the spread over time and hierarchical information about your image. My colleagues and I put it together over the last couple months as part of the overall Ascribe suite. In particular, I conceived of and developed the plots and much of the backend data manipulation. I live in Germany, but come from the American Midwest. A relative from back home recently sent me an article titled Life in Socialist Europe. The article’s author did not enjoy his stay in Europe. While he does a good job of pointing out the many drawbacks of European (specifically German) life vis-à-vis American life, he forgets – or deliberately omits – the corresponding advantages. There is a crushing 20% sales tax on everything. There is also a TV tax, a radio tax, a dog tax, a death tax of up to 50%, and every other kind of tax you could possibly imagine…for a grand total of about 60-65% of your income (unless you have already been brutalized into poverty by this system, in which case you get welfare). Taxes are higher in Germany, without a doubt. The top tax rate is around 35%, which is similar to the US (Sweden and Norway for example have higher tax rates like the one in this article). The main difference is that higher tax rates start at much lower incomes than in the US. Sales tax is 20% in Germany, but it’s always baked in to the final price. Berlin, where I live, is considered a cheaper large city and probably has a cost of living similar to Pittsburgh. Social security is also collected at a higher rate here, but of course you get more out when you retire. Welfare is very easy to apply for, but you must prove you are looking for work while receiving it (again, in Germany). If you turn down too many job offers, you will no longer receive welfare. In exchange, many things Americans expect to pay for at home are provided by the state in Germany. College and grad school are almost completely free. Public schools are of uniformly high quality and teachers are well-paid. Daycare is extremely cheap compared to the US, and parents receive more generous tax credits and maternity/paternity leave. German law also mandates a minimum of 5 weeks vacation for full time workers. The German healthcare system is surprisingly similar to the US system: health insurance is required, and your employer must pay part of it. However, the premium is dictated by your income, so part time workers, students, and the unemployed, for example, pay less. Different countries have varying degrees of socialized healthcare: in France and the UK, healthcare is completely free. Overall, however, healthcare in Germany is much cheaper than in the US – almost by half – per person, when you combine the public and private expenditures. There is no such thing as Central Air…people just suffer through the heat, and freeze in the Winter with these dinky little radiator-heaters (which is all most people can afford, due to staggering government utility costs). It’s true that almost nowhere has central air! Only in modern office buildings and maybe luxury apartments. Fortunately, summers are much milder here than in the Midwest, and dry. Nevertheless, you may suffer for a week or two out of the year. Many older buildings, like mine, have radiators. Newer ones will have central heating. My apartment is never cold if I run the heat, but again, the seasons are milder. Gasoline is usually $7-10 per gallon (about 1.50 Euros per liter as I write this), due to the government’s insanely aggressive taxes on fuel. Gasoline is expensive, and Germans love their cars. Remember, though, that fossil fuels are in fact heavily subsidized in the United States. The US is also one of the biggest oil producing countries in the world. Europe is relatively oil-poor with the exception of some Scandinavian countries. On the flip side, Germany has clean, efficient, and fast public transportation to anywhere in the country. Even the smallest towns are connected to the passenger rail network. It’s difficult to describe, because we simply have nothing like it in the US. As a result, many Germans who live in cities forego cars altogether, since you can often get where you’re going faster on a subway or over-ground train. Additionally, airlines are considerably less regulated in Europe than the US, so airfare is often cheaper for similar distances. People usually cannot afford 15 or even 30-year mortgages…they often must get 50-year mortgages to purchase a home (government makes housing astronomically expensive). I don’t own any property, but I have heard of 50-year mortgages here. Note that the majority of Germans rent, and property laws strongly favor tenants. Consumers are 100% disregarded, given total crap for options, and complaints over terrible service are completely ignored. Customer service can be bad, and even Germans complain about this. Restaurant culture is a lot different: you usually have to ask directly for the check, etc. Many Germans that have visited America find the wait staff overbearing, so I’d just chalk this one up to culture. There is no lack of product choice, in my experience. Maybe this was true decades ago. However, most goods are sold at a specific store. For instance, no grocery store will carry hardware or drugs; you must go to the hardware store or pharmacy. Maybe that’s what he was experiencing? It takes six hours to do half a load of laundry (government forces people to use these tiny, ‘environmentally-friendly’ laundry machines). Laundry machines are the same, but typically smaller. I’m not sure what he is talking about with 6 hour cycles. Many people don’t have dryers, preferring to line dry, but you can buy one if you want…they are not more expensive here or anything. The government sets targets for energy efficiency in appliances, and the manufacturers must report the energy costs. You can buy a really inefficient washer if you want though, nothing is stopping you! Showers are the size of phone booths, water heaters are often woefully inadequate, and all water services cost an absolute fortune. Showers can be small, especially in cheaper apartments. Utilities are more expensive, but “absolute fortune” is absolute hyperbole. Closets do not exist. The only thing you can do to store and organize your clothing is to purchase a huge, bulky piece of furniture called a “wardrobe” for every bedroom, which leaves you with very little actual living space in the already incredibly tiny homes Europeans must deal with. He is right about the closets. Most older buildings will not have them in the floor plans. Europe is more densely populated and does not have a suburb culture like the US. Apartments will tend to be smaller, but I think “very little actual living space” is a bit extreme. There are many more common spaces (parks and playgrounds) in Berlin than in a similarly-sized US city though. You can’t wash your own car in your own driveway. That might hurt the environment, so you must take your vehicle to a government-approved car wash and wildly overpay someone else to do it for you. Even the “big,” “Americanized” trash bins hold no more than a wastebasket of garbage…for two weeks of waste (no matter how many people live in your home). If the can is overflowing, they will not take your garbage, and every single item is required by law to be organized into separate color-coded recycling bags. Yes, recycling is compulsory, but trash is collected very frequently. Food and consumer products tend to have less packaging, so there is less waste. Houses have normal curbside trashcans, and you can always put out additional bags if they’re full (maybe he is referring to some other country or region of Germany). You cannot even name your own child without government approval. There is literally an agency you must register with upon giving birth that decides whether or not your child’s name is acceptable to the government. Naming laws exist to a degree in both the US and Germany. Gun rights do not exist. The only way to get access to any firearms whatsoever is through a jaw-droppingly extreme permit/licensing process that involves taking elaborate tests, paying fees, and proving to the government you have a “legitimate” reason for wanting a gun (hunting, target shooting, etc.). Germans could amend their constitution to allow gun ownership, but they don’t like the idea. I’ve never met anyone here who wants to own a gun. Keep in mind the country was almost totally disarmed after each world war. Police carry guns. Neighboring Switzerland has compulsory gun ownership for military age males, and has one of the highest rates of gun ownership in the world. Having extreme views is illegal. Being a Neo-Nazi is a crime, as is questioning the Holocaust, or anything that could possibly be construed as “hate speech” by the left. Flipping someone off is also a criminal offense. Hate speech is illegal, and this is mostly a consequence of the Nazi legacy. The US probably has the strongest free speech laws in the world, and it’s a fair criticism of Germany, in my opinion. The law is very narrowly applied – you certainly never have to worry about what you say: for instance there are still legal neo-Nazi groups here. It costs thousands of dollars to get a license, own a car, and pay for the more than $1 million of auto insurance you are forced to carry…and there are speed cameras everywhere, and there is no gray area (my boss couldn’t even get out of a ticket from when he sped his wife to the hospital to give birth). Cars are more expensive, but again, most people do not rely on them. You can however drive as fast as you want on many highways in Germany. There is literally no speed limit. Nearly two-thirds of YouTube’s top 1,000 videos have been banned in Germany due to the fanatical German Journalists’ Union (DJV) absurdly demanding that artists be paid for each and every video that in any way uses any part of their music–even if it is just some random user having part of some random song on in the background of their video. This is real, and annoying. The standards of fair use are different, but this is rather unpopular and will probably change soon. I certainly made more money in the US, which was nice. I have more time to enjoy it in Germany, however. If you are rich or making a lot of money, it can feel like you’re going without some things you take for granted at home. If you are poor or just down on your luck, you can live a basic (perhaps not comfortable) life here until you get back on your feet. The notion of an unexpected medical bill becoming a huge financial burden, or draining your savings to send your kids to college is completely alien here. Germans tend to value social cohesion above individual wealth.